This license allows for the sale of hard liquor, as well as wine and beer. It is what is commonly referred to as the Bar License in NY. To qualify for this license you must serve food at your establishment. However, unlike the Restaurant Wine license, the food need not be the main source of income. This license also allows you to sell beer for off-premises consumption. Liquors and wines may not be sold for off-premises consuption. Outside of the main conditions for obtaining a liquor license, this license also falls under the 200 foot rule. 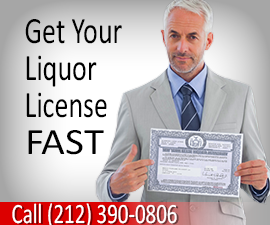 Rezzonator Services and their team of liquor license experts is ready to help you get your license fast. Call us today or use the contact form on the right. 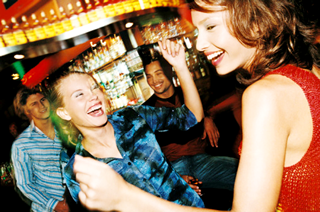 Visit our main alcohol licensing page by clicking HERE. If you have a place that has live entertainment or dancing then you will need the Cabaret license. This license is very similar to the NY Bar license. Same as with the Full Liquor license above, you must sell food, but food need not be the main source of income. Speak to a professional today to see if this license applies to you. If you have a location or are in the process of looking for a location you should contact us. There are many issues that can arise when dealing with the full liquor license. There's a reason why full bar and cabaret licenses are so popular. A full license will bring in money but there are a few points that will help you maximize your profits. How many similar bars are around your proposed location? How many customers frequent the area you're planning to do business in? If there are few customers and many bars, you may want to look for another location. You can't grow flowers by planting them in cement, and it's even harder to grow a business in an area that's saturated with similar bars yet has very few customers. Once you have in mind the type of establishment you'd like to open, come up with something that will make you stand out from the crowd. If you're doing a plain old bar, without any special themes or services it will be hard to make yourself visible among the competition. The more time you spend analyzing this aspect, the more you'll stand out to potential customers when you open. If you want to open a place that features live bands, entertainment or dancing then the Cabaret License is the way to go. But this comes along with several considerations, the most important of which is the noise factor. Make sure that your location can support the noise levels that you plan on having.